The Episode starts with Varun telling Soumya that she can neither be a man nor a woman, and asks how you will make me understand. Soumya says you can’t fulfill any relation being a man and I am fulfilling all relations being a kinnar and asks him to understand whose life is black. She goes. Varun thinks I will take revenge on this baby as this baby reminds me of his mother. Sweety comes and asks Varun if he called Lawyer. Varun says I will call now and calls lawyer. Harak Singh tells Preeto that he was checking the time. Preeto tells him about the new show Jhansi ki Rani from 11th Feb at 9:30 pm. They watch the promo. Preeto tells him about Jhansi ki Rani and says Soumya is like her. She says we have to become her strength and see what she can do. Harak Singh smiles. Gurmeet comes to Harak Singh’s factory and aims gun at the worker. He asks him to keep gun with the toys. The worker keeps the guns in the toys. Neighbors come to Sukha’s house. Gurmeet calls Sukha and tells that he will call Police now that guns are smuggled from Harak Singh’s factory. Sukha appreciates him. Gurmeet calls Police. Chameli hears him. Soumya brings Pakoda and serves to the guests. Sukha makes a video call to Harak Singh and shows him that Soumya is working as a Servant. They tell indirectly that Soumya is a Servant in their house. Sweety says she is helping me to handle the baby. Harman says they forgot that she is my wife. Preeto says she is Soham’s mother also. Harak Singh says whatever Soumya doing is right and hopes to get Soham. Varun asks them to stop and tells Sukha that they made Gurmeet enter the house running and tells that they shall push them out of the house. Gurmeet says Varun is right. Varun says we shall get this work done by Soumya. He asks her to kick them out. Soumya gets tensed. neighbors ask them to push them out. Chameli says Varun is doing this intentionally. Saya says we will go by ourselves. Varun stops them and says I didn’t show your value at Harak Singh’s house and that’s why enter their house. He says today I will make your value known to you. Saya says we know very well, and says if you were so worried about Harak Singh and his family then wouldn’t have been here. Sukha asks Soumya to push them out. Soumya says they are humans and says they are going. Varun asks if we are not humans and says the matter is about the respect and asks her to push the kinnars out. He thinks what a scene, a kinnar will insult her kinnar family. Sukha asks Soumya to push them out. Soumya comes to Saya. 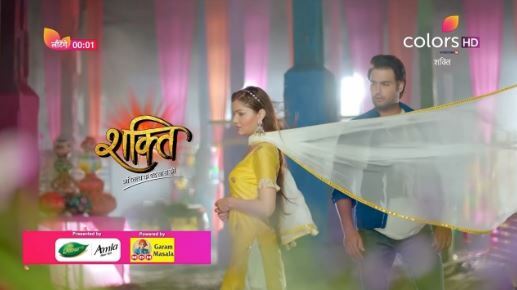 Saya asks Soumya to tell Harak Singh and Harman about their conspiracy. Soumya says I will tell them. Saya asks her to do as they said and gives Soham’s promise. Soumya asks them to go. In the evening, Sunaina asks Soumya to go as she finished the work. Sweety says you will get monthly salary only once and not daily. She scolds her for spoiling her mood. Sunaina asks her to come early in the morning, and tells that she has to wash the utensils. Maninder comes there. Soumya folds her hands. Maninder turns his face. Varun tells Soumya that his old relatives are still coming to him. Maninder tells that he came for his grand son and asks him to give Soham. Varun says he is my son and not govt property. He asks Maninder to go and pushes him out. Maninder asks him to give his grand son and knocks on the door. He hurts his hand. Soumya is standing out and gets concerned for him. She tells him that he always kept her far from him and tells that today they are standing at same point. She says we both want Soham, but you will hate me so much and wants Soham to stay with Varun, but I love you so much that I want Soham to stay with you rather than with Varun. Maninder looks at her. Soumya hugs Harman and tells that they didn’t let him meet Soham once and cries. Harman asks her to come with him and goes to Sukha’s house in the night and calls them. They all come out. Soumya goes inside the house secretly and takes Soham in her hands.